Water comes out of a horizontally stationed hose and creates an arc as it heads towards the ground. Can I determine the speed the water was traveling in when it exited the hose by the measuring the arc which is created? For example, let's say that I measure that the water has dropped 2 inches vertically when measuring 1 foot horizontally away from the nozzle - at what speed did it exit the nozzle? For problems like this the largest errors are likely to be the mechanics of the measurement and the non-uniform initial velocity of the stream rather than air resistance. A common place to see this in action is at any "jumping jets" fountain. If you watch closely you will see that the initial part of any particular jet has a lower trajectory than the rest, and that the main body generally has a beautiful parabolic trajectory. 1 Because once the stream is established no air is being displaced and at "hose" or "shower" velocities there is little viscus friction in the boundary layers. Not the answer you're looking for? 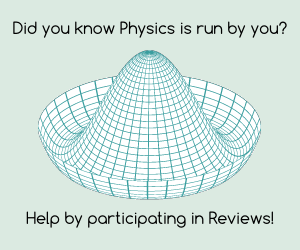 Browse other questions tagged fluid-dynamics water or ask your own question. Can we measure the depth of water by scattering water? The velocity of the flowing coming out of the balloons? What is the difference between high speed water supply and high pressure water supply coming out of a hose? Can a hose filled with water go up if there is not a lot of pressure? Why is water expelled more powerfully from a trigger hose the moment its triggered? How could water pour out from upside-down bottle, unless its pressure is smaller than atmosphere pressure? Why water can fly faster (then slower) when you press the water hose with your thumb?